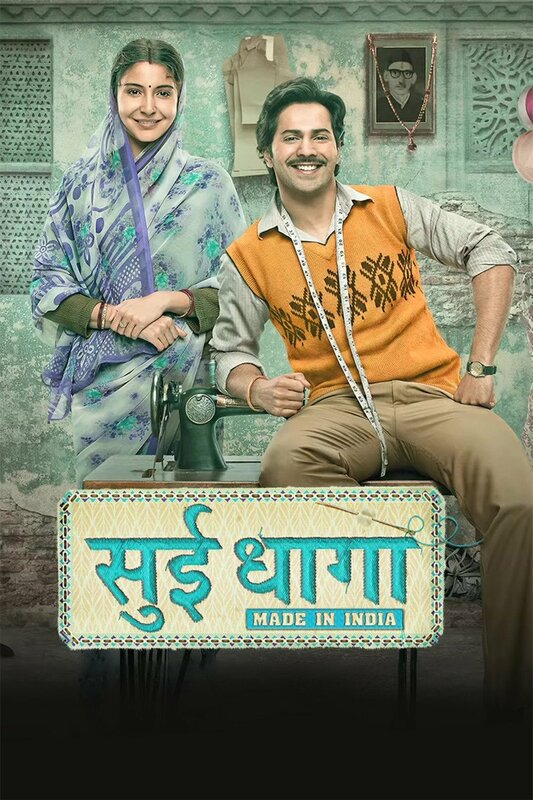 Recently, I watched ‘Sui Dhaaga’ in Prime Video. When the movie was released about 4 months back I wasn’t keen to watch the movie. Any movie which tries to send a social message explicitly is bound to be heavy or boring. ‘Sui Dhaaga’ does carry the message. Read the other part of the movie title; Made in India. This two hour movie is about a typical underprivileged guy in Uttar Pradesh; a kind of ‘rags to success’ story. Mauji (Varun Dhawan) is with a retired old father from government services (I believe State), an obese mother and an elder brother who is married with a kid and an obedient wife to boot. The owner of the sewing machine shop Mauji works always uses him as a joker and errand boy. On the day of the marriage of the owner’s son, Mauji’s silent and obedient wife Mamta (Anushka Sharma) was terribly feels humiliated the way the bridegroom and the relatives made fun of his husband. She asks him to quit the job and take up the job of tailoring in which is good at. But, Mauji’s old dad is not favor of it as his father was a disaster as a tailor. Mauji already mentally tuned by his wife resigns his job and takes to tailoring with the machine from his neighbor. But, situations turn bad as his mother suffers a heart attack and money is needed for a bypass surgery. The hospital gown he stitches using the old clothes at home and Mamta’s idea to add floral design to that invites the attention of many. But, here also he falls a victim to his sis-in-law’s brother and his lady boss’ (who is the owner of a big garment unit) tricks who swindle his money. He participates in the Raymond’s Fashion show with his family and friends who help him and Mamta to make the garments and wins; that paves the way for his bright future. When something very close to reality and watching miseries coming in tandem more than pathos, it creates tedium. ‘Sui Dhaaga’ suffers with that problem. Sharat Kataria is the director. The surprise package is the main actors; Varun Dhawan and Anushka Sharma whom we have seen only in lively roles and ultra gorgeous costumes come in totally deglamorized manner. But, they execute their parts with ease. For Varun it is another testing role after ‘Badlapur’ and ‘October’. I haven’t watched Sharat Kataria’s earlier movie ‘Dum Laga Ke Haisha’ which was also a success. Now I read that ‘Sui Dhaaga’ is a super hit: really? Surprising!